I’m still working with that rainbow assortment of fabrics! This time I wanted to try the rainbow progression of flying geese with an off white background. I just love the clean look that resulted. Don’t you just love the feather design? It goes beautifully with the geese, and adds a gorgeous texture to the final product. 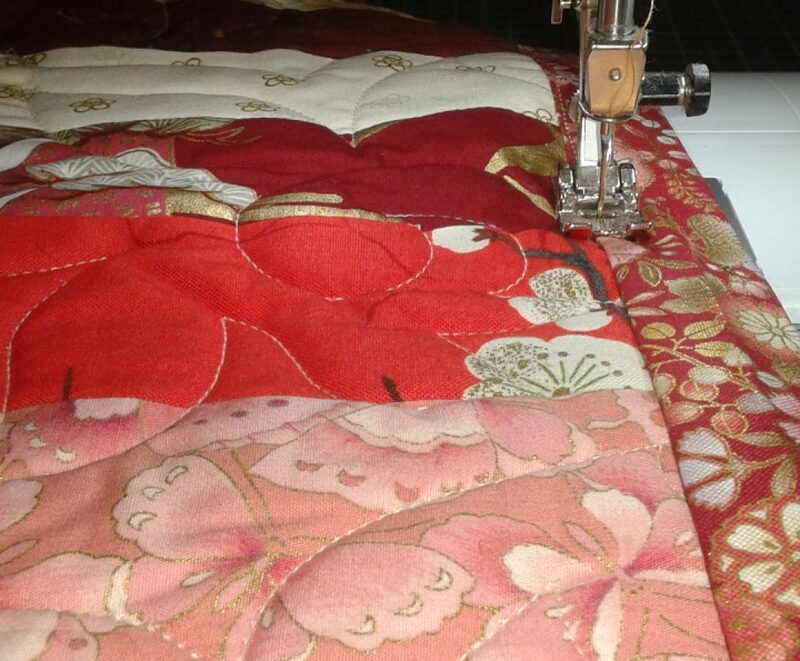 I used a higher loft batting, along with this fairly dense quilting design, to enhance the texture since the quilt itself is so plain. The binding is scrappy – a mix of the off whites from the top. I think for my next quilting project, I’ll put aside the rainbow fabrics and work on something a little different. I have two ideas in mind: a kantha baby blanket made from cotton double gauze, and a low contrast quilt using half-square triangles where half of each triangle is an off white, and the other half a low-contrast coordinating gentle print.